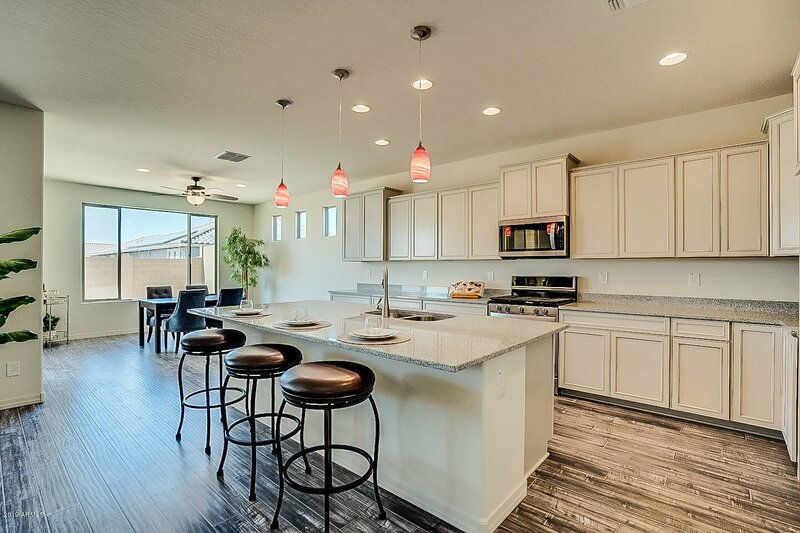 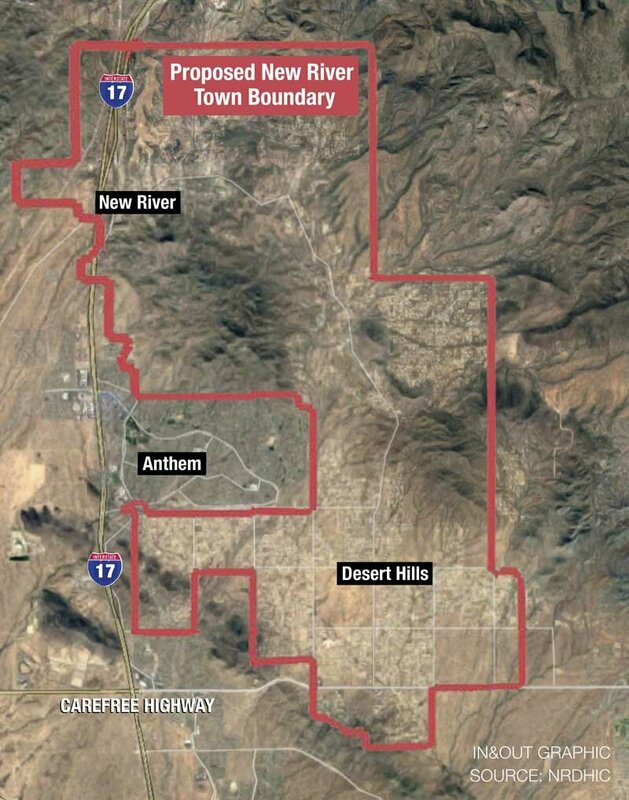 The map, proposed in July, mostly jogs around Anthem―but notches into the southernmost commercial district along Daisy Mountain Drive to include Circle K, CVS, and the Anthem Crossroads Plaza, where Fry’s Marketplace is located. 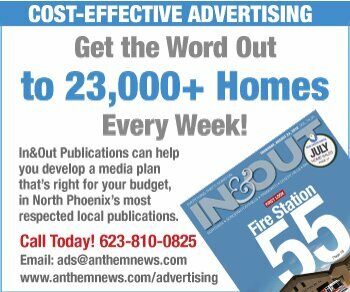 The businesses were included because “it could generate potential sales tax revenue,” Laurie Ricci, the group’s president, said at the time. 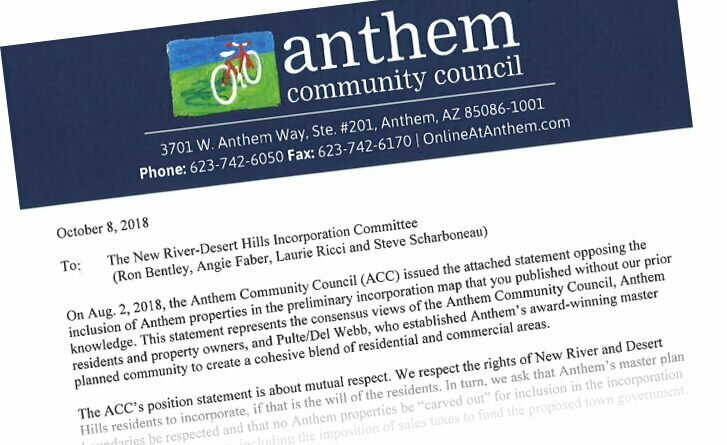 Anthem immediately frowned on the proposal and has had discussions with the incorporation committee in an effort to get the unincorporated areas in Anthem dropped from the proposal.